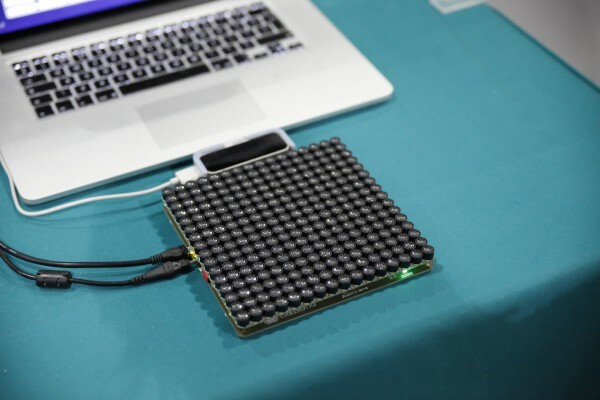 Ultrahaptics is definitely one of the coolest things we saw at the CES this year. Basically it uses an array of ultrasound speakers to stimulate the surface of your skin, creating the illusion of touch. And it works just absolutely amazingly! I was absolutely stunned by this technology. It’s nothing particularly advanced really, but then the most ingenious ideas are often simple and make you wonder ‘why isn’t this already everywhere’. My colleagues first impression was that it felt “Weird and crazy”. I have to agree, weird and crazy in a good way. They showed us several demos. One of them was like a virtual forcefield. It felt a lot like pushing your hand through a waterfall fountain. Another was a game of brick breaker. Where you move a paddle to bounce a ball against wall of destructible bricks. But I played it by moving my hand over the Ultrahaptic array, and every time the ball bounced of the paddle I could feel it. It was a really fun experience. They told us they want to see their technology just about everywhere, in video games, in cars and in smart homes. 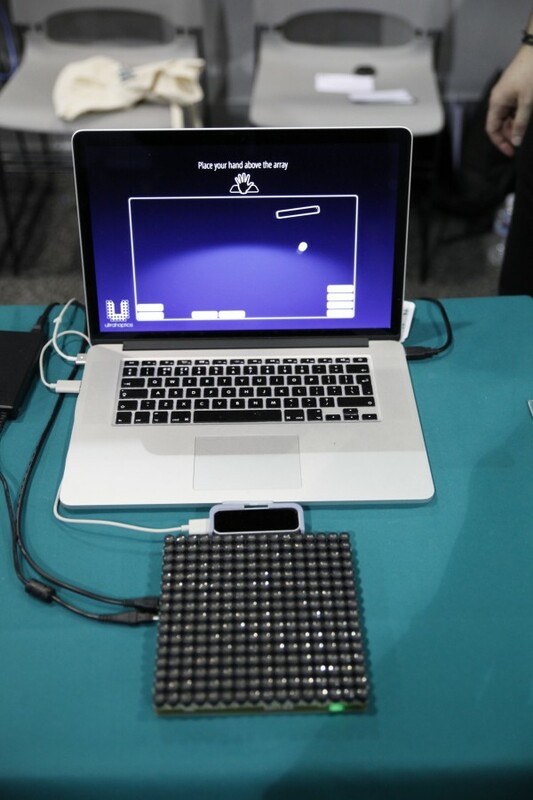 All I can say is that I love Ultrahaptics, and I wish them the best of luck. I too want to see this technology everywhere!